Lawffice Space - Employment Law Blog by Philip Miles: Employment Law Fall Preview 2010 - SCOTUS Returns! 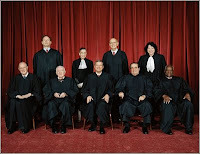 Employment Law Fall Preview 2010 - SCOTUS Returns! The brand new SCOTUS season, err Fall term, kicks off today and new Justice Kagan makes her way into the starting lineup. The National Law Journal (NLJ) provides an excellent preview of what’s in store: On the High Court's Fall Docket, Few Blockbusters -- but Plenty to Watch. I’d like to take a moment to highlight the Employment Law cases on the horizon. Perhaps the catchiest name for a theory of liability in employment law, the “Cat’s Paw” case will be heard this term. In short, the Court will likely clarify when an employer may be held liable for the discriminatory intent of employees who caused or influenced a termination, but did not actually make the decision to fire an employee. I previously wrote about the origins of Cat’s Paw, and provided a preview of this case for ELinfonet. When an employee complains of discrimination, he or she is generally protected from retaliation. But what if the complaining employee’s fiancé just so happens to work for the same employer? And let’s say, the fiancé just so happens to get fired shortly after the employee made the complaint of discrimination. Any protection? Hopefully, that’s what this case will answer. See my earlier post, Fire the Fiance – Third Party Retaliation Claims. I do not believe I've written anything on Kasten yet, but fear not! The good folks at SCOTUSblog have compiled a ton of useful documents and information pertaining to this case. I don't know that we'll see any "blockbusters" or "landmarks" in employment law this term. That said, SCOTUS has picked a handful of issues that are both important and crying out for clarification. I also think they're interesting cases. And so another SCOTUS season begins. Image: That's last year's Court. 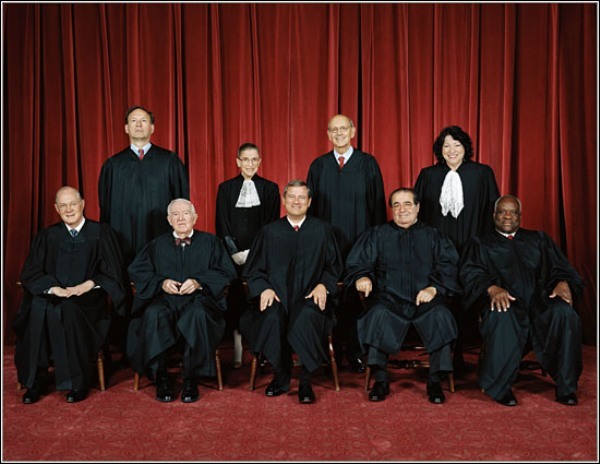 I haven't tracked down the new class photo with Justice Kagan yet.